Tame the American Wild West! 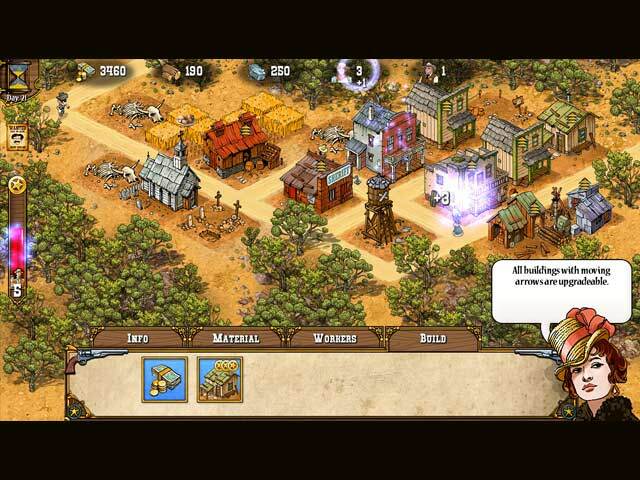 Gather essential resources to construct buildings, upgrade your town and prosper as you settle new, uncharted lands. Perfect your town by enhancing infrastructure to attract new citizens and defend them against hordes of bandits in this charming and fast paced strategy game! Big Bang West 2 is an original strategy game. It offers fast and entertaining game play. Enjoy the American Wild West atmosphere with lovely cartoon graphics! Make your mark in the captivating style and fashion world! Cook up some excitement in this fast-paced time management game!